E. microphylla was first described from Brunswick-Luneburg, Germany in 1789 and its name refers to the small size of the leaves. 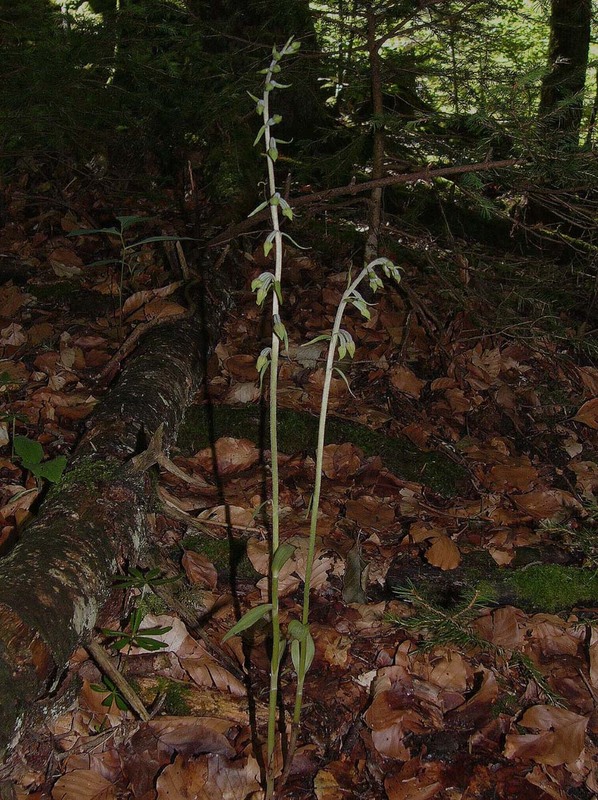 It will come as no surprise therefore to learn that the common name of this species is the Small Leaved Helleborine. 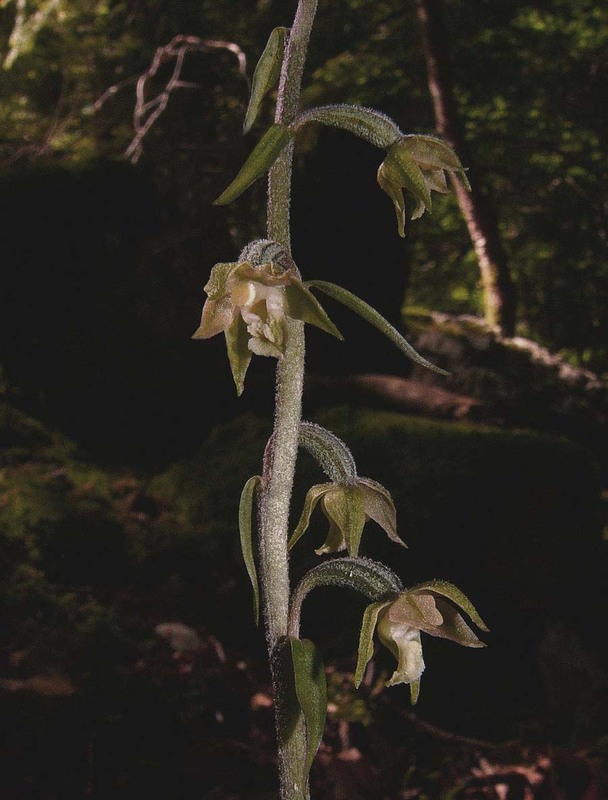 As can be clearly seen from the photographs, this particular feature serves as the species most easily observed and significant identifying characteristic and one which makes it unlikely to be confused with any other member of the genus. The leaves are not only small but widely spaced up the stem with perhaps the lowest three or four being elliptical and the higher ones more bract-like. 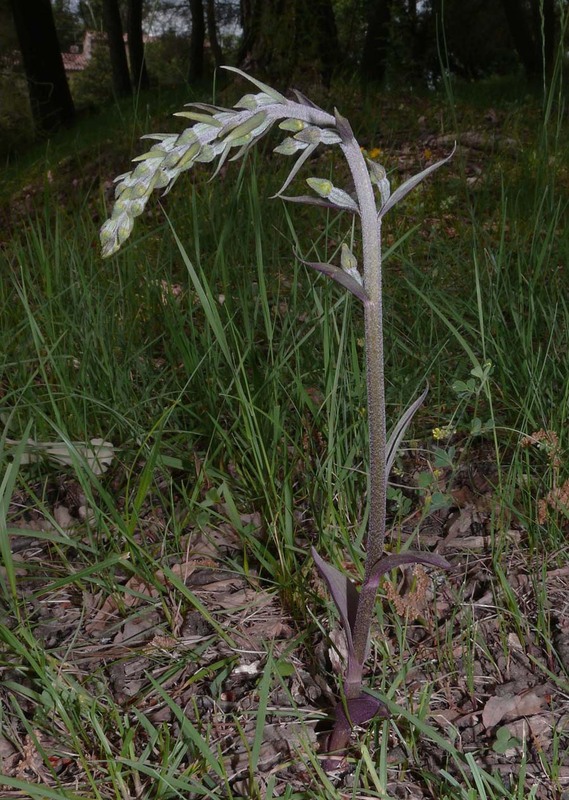 Specimens growing in lighter conditions often bear leaves that can be suffused with purple and occasionally completely so, as is the case with the plant depicted in picture 7. 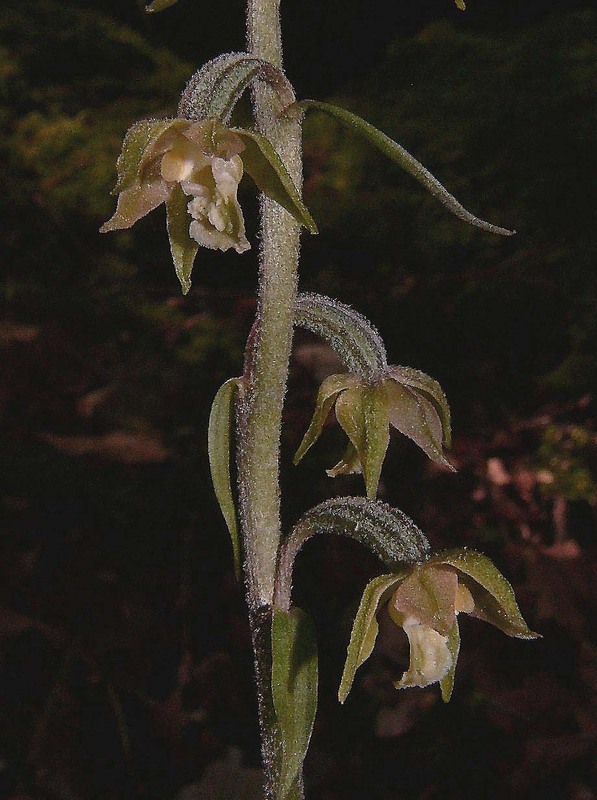 E. microphylla is a widespread orchid that ranges through much of temperate Europe as far as the Caspian Sea but is absent from Britain. It is a species that inhabits deeply shaded woodland, both deciduous and more rarely coniferous, though invariably on alkaline substrates. For reasons that are not fully understood, in Cyprus the species is only to be found growing under Hazel. 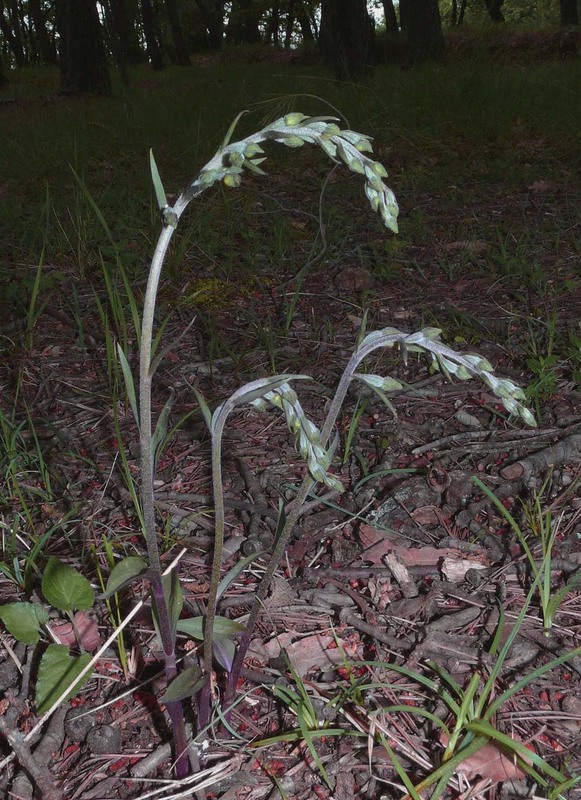 Although widespread, it's an uncommon orchid and its small size (usually no more than 30 centimetres high) and spindly form make it a difficult one to find, and particularly so in the deep shade that it prefers. 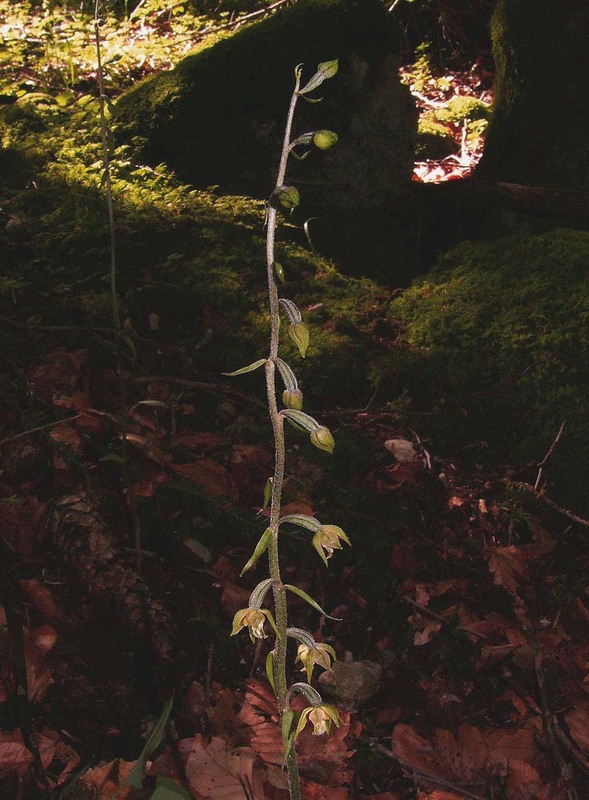 This is one of the earliest Epipactis to flower and at lower altitudes in the south of its range, can be found as early as May. Pictures 2 and 7 are from Provence and depict plants in bud that date from the end of May. 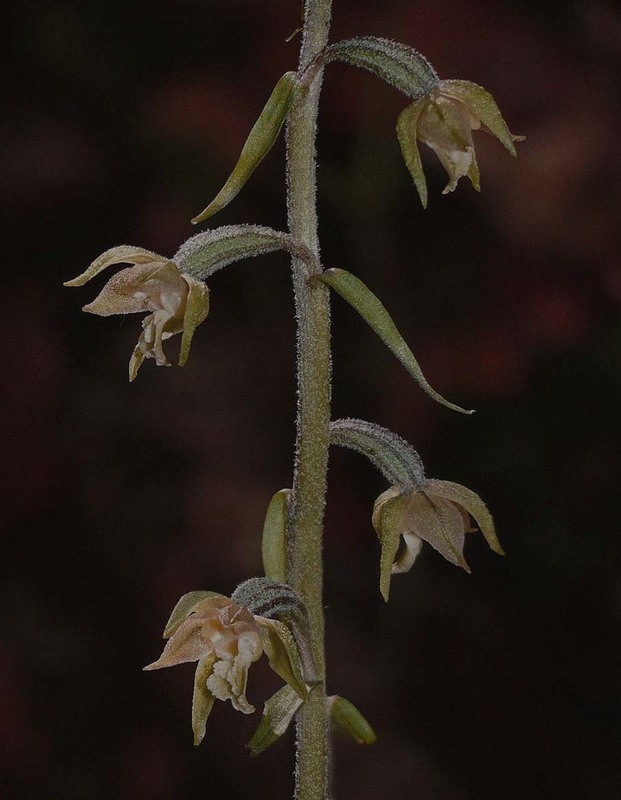 The fully flowering examples come from the Vercors, dating from the first week of July.